This fun begins at the Boardwalk parking lot. The run will be along the full length of the levee (starting and ending at the Boardwalk's river lot). There is now a 10K course (two loops) and a 5K course because the Riverwalk makes a complete loop. The Kid's 1K course will be timed this year with awards for the top 3 boys and girls under 10. Come and join the annual year end holiday event! It's all about the toys and the fun. Put a smile on a child's face for a REALLY great cause. Bring a toy for Toys for Tots, go for a walk or run along the San Lorenzo River Levee. You can get some exercise before you go holiday shopping! This event makes a difference in our community! Please come out and give all the support you can. This is the 10th year for Jingle Bell Rock and each year as the participation grows we try to set a big goal for collecting toys. Last year was great - over 800 toys donated at our sponsor locations and at the race. This year let's try and hit 1000 toys. All the collected toys stay in our community. To participate in Jingle Bell Rock you can select to be timed or untimed. Awards for age group winners are large jingle bells on ribbons - suitable for wearing to claim bragging rights, or you can hang them on your tree! Prizes for the best dressed runner who comes decked out in holiday running wear, the best dressed team, the ugliest holiday sweater, and the best decorated stroller runners! Get busy and get creative. See you at the Jingle Bell Rock. 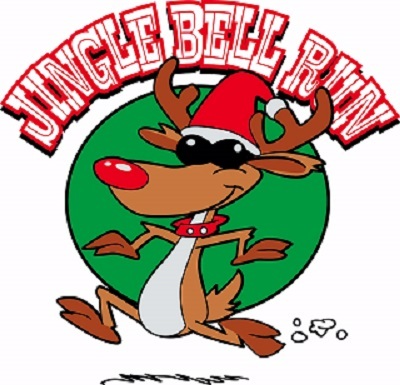 Please visit http://www.finishlineproduction.com/events/running/JingleBellRock/JBR.html to sign up and further race details!